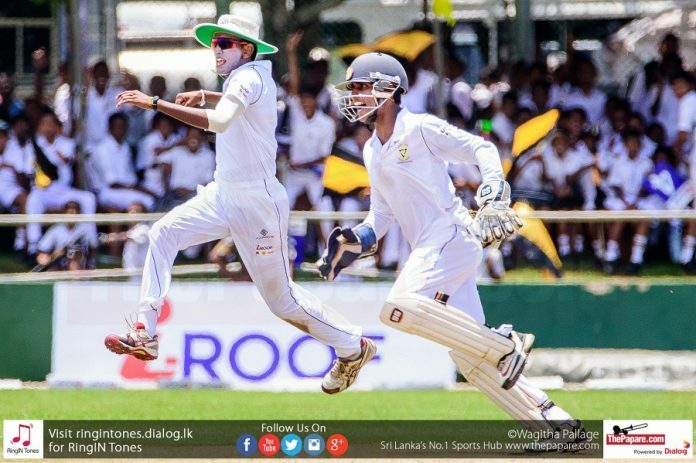 Mahinda College was 70/3 in their first innings after bundling out their arch rivals Richmond College for 170 runs on day one of the 113th ‘Lover’s Quarrel’ at Galle International Cricket Stadium on Friday. Skipper of Mahinda College, Kavinda Reshan won the toss and asked Richmond College to take the first lease of the wicket. Richmond College could not get off to a good start as their star player and Sri Lanka U19 captain Kamindu Mendis was dismissed for just 4 runs. Richmondites continued to lose wickets and once stage they were 60 runs for 4 wickets. Skipper Dhananjaya Lakshan tried to rescue the innings but he was also dismissed for 31 runs. Duvin Kalanasuriya and Dilum Sudeera showed some resistance with the bat building a 56 runs partnership for the 5th wicket. 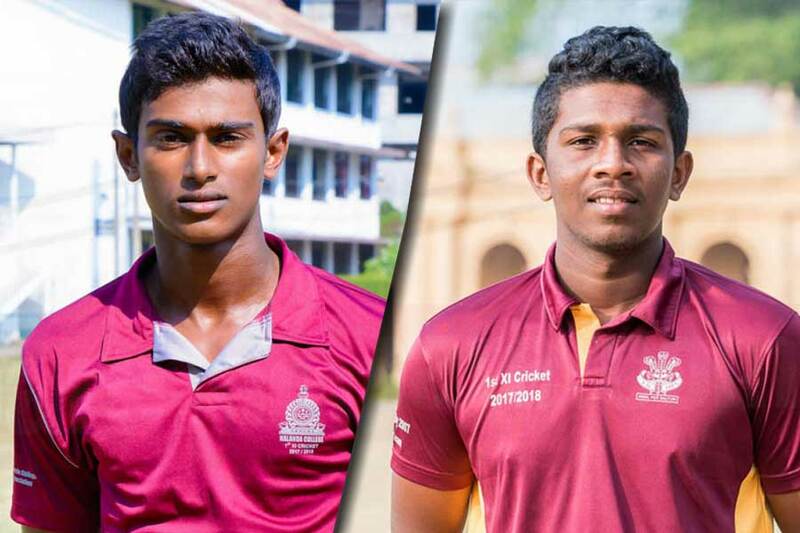 After the departure of Duvin Kalanasuriya for 42 runs, wickets were continued to fall and Richmondites were restricted for 170 runs in their first innings. Left arm fast bowler Pasan Pethangoda who was the standout bowler for Mahinda College this season excelled again with the ball picking up 5 wickets for 46 runs. Left arm spinner Navod Paranavithana supported him well at the other end picking up 3 wickets for 20 runs. 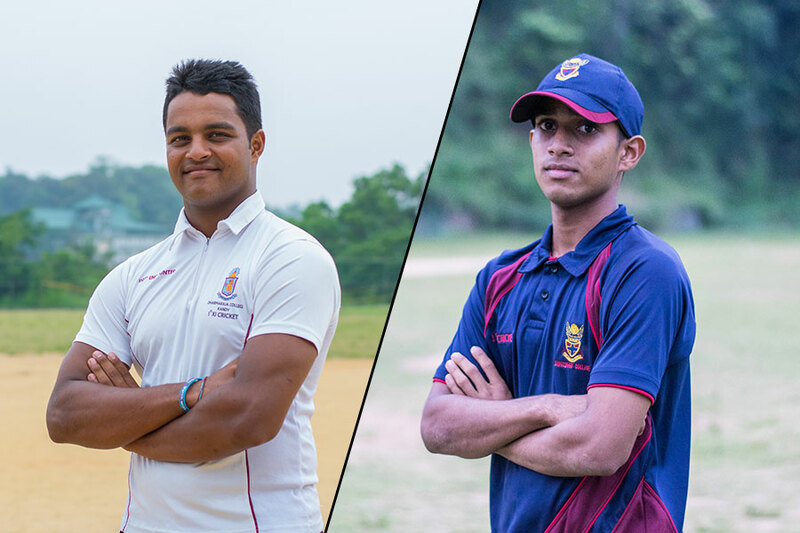 In reply, Mahinda College got off to a good start thanks to the openers Navod Paranavithana and Hansika Welihinda who put on a 40 run partnership for the first wicket. However, they lost 3 quick wickets for 30 runs as Mahinda College finished day one on 70 runs for 3 wickets. Inform batsman Navod Paranavithana was dismissed for 27 runs while Hansika Welihinda remained unbeaten on 20 runs for Mahinda College. Richmondite all-rounder Dilum Sudeera picked up 2 wickets for 20 runs with his left arm spin. Match will continue tomorrow for day two.